When American troops made a chaotic, embarrassed withdrawal from Vietnam in April 1975, the flood of terrified Vietnamese refugees to Kansas City began. Dong Do, now 55, lucked into a boat and finally slipped out of Vietnam in 1983. He got to Kansas City the next year after stops in Malaysia and the Philippines. He tells a destination story not unusual for refugees then or now. “I was supposed to be in Maine, but wound up in Kansas City. Don’t ask me how and why.” Today, he’s married with two children and does computer work for the Federal Aviation Administration. Nguyet (pronounced new-YET) Ha-Le fled Saigon on one of the last mega-choppers airlifting Americans and some Vietnamese off the roof of the gated and locked American Embassy in Saigon on April 29, 1975. She and some family members grabbed a ladder from a nearby police station to reach the embassy roof, but when it reached only eight of the 10 stories necessary, they tried another idea. “They put a table on the table and smaller table and smaller table and on the top,” Nguyet told me, “they put a chair, but it was still not enough, so they had to put a ladder on the chair.” Despite all that, she made it, and after stops in Guam and Arkansas (they thought they’d be taken to California), she got to Kansas City, where today she works as a translator for three different companies. Like many Vietnamese refugees and immigrants in the Kansas City area (estimates range from 6,600 to 12,000) and many of the 1.3 million native Vietnamese in the U.S., Ha-Le still carries these tachycardiac memories. But they have not frozen her or most others in place, have not stopped them from becoming American citizens, have not prevented them from living a productive life in a country that took them in and helped them find a future. There is, indeed, a story of perseverance. But the story of Vietnamese refugees in our city is also very much one of faith. It starts with various congregations mobilizing in the mid-1970s to help the refugees, runs to 1990 when a reorganization of parishes established a Catholic church for the Vietnamese community, and continues today through efforts by people like Ha-Le to help the Vietnamese maintain their Buddhist traditions. In some ways, Ha-Le fits the stereotype of Asian immigrants who excel at everything. In fact, she’s done well and is grateful to America for the chance. But that stereotype hides more than it reveals, because there also are former Vietnamese refugees here who’ve had a much harder time and are anything but fully integrated into Midwestern culture. Many successful Vietnamese have become business owners, especially of nail salons and restaurants. An example of the latter is Tho Tran, who owns Café Ha Tien in south Kansas City, one of several area Vietnamese restaurants. But others, hobbled by language difficulties and other issues, have failed to thrive economically. 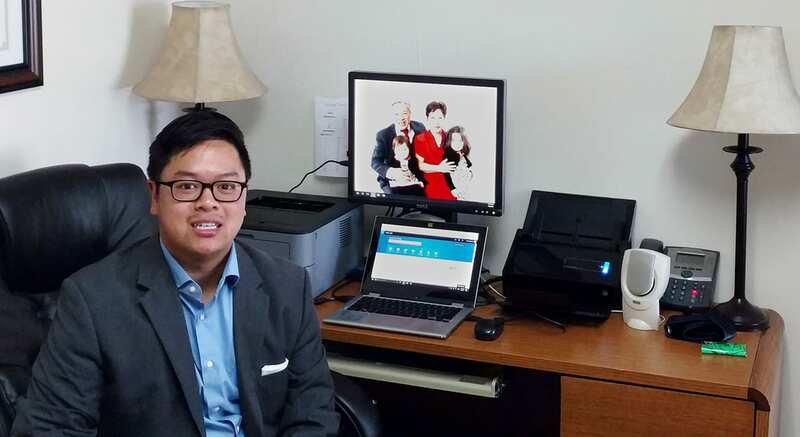 “A lot of my Vietnamese clients can’t speak English at all,” said attorney Ron Nguyen, son of Vietnamese refugees and a leader of the Vietnamese American Community of Kansas City. Now in private practice, he spent several years working for Legal Aid of Western Missouri helping Vietnamese and others face a puzzling legal system. 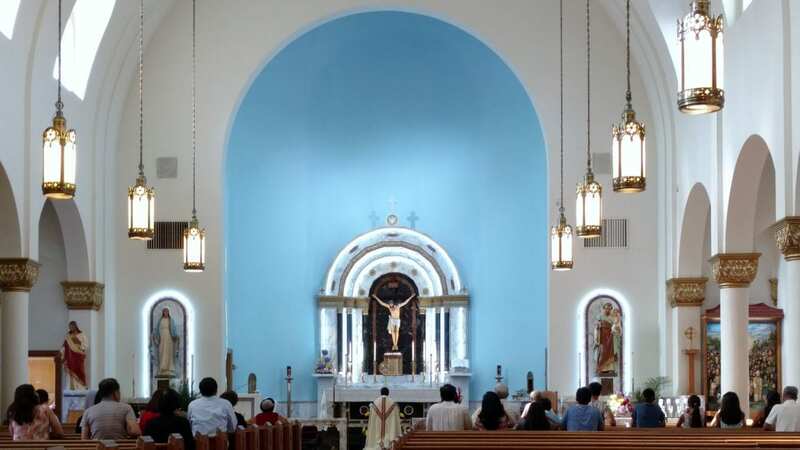 I met one such person at a Catholic Mass in Vietnamese one recent Saturday evening at the Church of the Holy Martyrs at 78th Street and The Paseo, where the priest, Father Dominic Nguyen, is also a Vietnamese expatriate, having escaped his country in 1983. 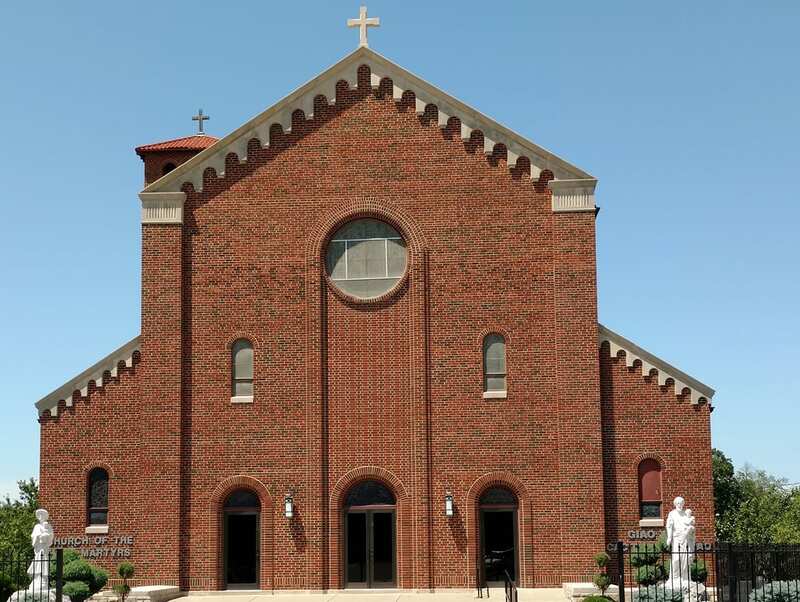 It is this building, the former St. Augustine Church, that the diocese designated for the burgeoning Vietnamese community in its reorganization. After the worship service (I understood only the words “amen” and “hallelujah”), I introduced myself to a gray-haired man with a cane sitting at the end of my pew. But he quickly indicated that he knew no English, so I moved on and spoke to church member Dong Do, the FAA computer man. Do told me that he spent seven days and nights at sea getting from Vietnam to Malaysia, where he stayed for six months before moving on to the Philippines for another six months. The control that refugees — then and now — have over where they go or how long they stay there is often nil. Although Do had no sponsor to get him to the U.S. at first, eventually the Don Bosco Center agreed to sponsor him, and he came to Kansas City, where he met his wife, Thuy Hong Duong. They now have a 15-year-old son, Paul, and 12-year-old daughter, Cecilia. Some Vietnamese here have returned to that different home for a visit, and some either have refused to or haven’t had a chance. Dong Do has been back to Vietnam twice, the last time with his family three years ago. But such trips, he says, can be risky because “there’s no law over there,” so anything can happen to you. 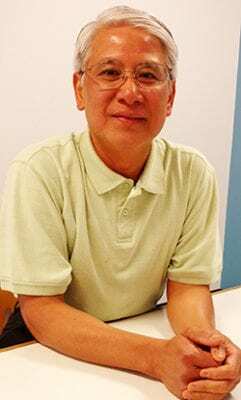 Bui spent decades working at the Don Bosco Center in the River Market area helping Vietnamese refugees and thus is well known across the area’s Vietnamese population. Now he’s a volunteer interpreter there as well as a former resettlement worker for Jewish Vocational Services. 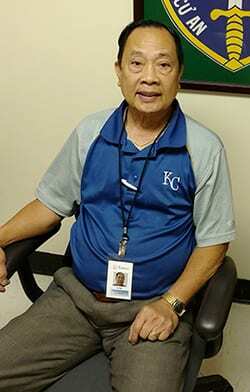 Like many of the original Vietnamese refugees, Bui worked hard, saved every penny he could and helped put four children through college — one at Notre Dame University, two at the University of Kansas and one at Creighton University. He arrived in Kansas City in September 1975 and, for six months, lived in the rectory of a Catholic church in Kansas City, Kansas. After spending seven-plus years in the Vietnamese military, he’s thrilled now to be an American citizen, and “I feel very good about helping others,” he told me. His experience at the rectory was just one of many examples of various area faith communities coming to the aid of refugees in those early days. Newspaper accounts from the mid-1970s document everything from local Lutheran congregations organizing a benefit concert at Shawnee Mission South High School featuring the Lutheran Church Choir of Taiwan, to the establishment of a refugee resettlement committee in Independence by the Zionic Research Institute, described then as a nonprofit under the auspices of the “Reorganized Latter-day Saints Church,” now known as the Community of Christ. Ha-Le’s first job in Kansas City was being a waitress at the Westin Crown Center Hotel, which soon hired her sister, brother and brother-in-law. Starting with entry-level service jobs was common for refugees like her. Since then, she has owned two different houses, one of which also served as a temporary Buddhist temple for Vietnamese refugees (there now are about a half dozen Buddhist temples serving the Vietnamese in greater Kansas City). She has earned several college degrees (Friends University and Nova Southeastern University), including a doctorate in education. After divorcing when her two daughters, Dianne and Vivian, were ages 7 and 9, she has raised them and helped them earn master’s degrees. She now works as a translator for three different agencies and has sponsored 16 other family members — including her mother, now 97 and a California resident — to come to the U.S.
Today, it’s mostly people of other nationalities struggling to find their way as refugees in Kansas City. At the recent World Refugee Day event at the Kansas City University of Medicine and Biosciences, for instance, the focus was much more on refugees from Syria, Sudan and other trouble spots, not Vietnam. In his remarks that day, U.S. Rep. Emanuel Cleaver, a Kansas City Democrat, called Kansas City’s Northeast area “the United Nations of Kansas City.” Indeed, that’s where most Vietnamese refugees got their start, though today they are widely scattered across the metro. — This story is part of Flatland and KCPT’s local engagement and reporting around the broadcast of a new, 18-hour documentary series on the Vietnam War from Ken Burns and Lynn Novick coming this month. The Vietnam War affected the lives of numerous Kansas Citians including veterans, civilians, activists and refugees. We hope you’ll share your own story and perspectives on the war and its impact with us here.